Now thoroughly updated and revised--with a new chapter on the Dreamer movement and the Deferred Action for Childhood Arrivals Program (DACA)--this book offers North Carolinians a better understanding of their Latino neighbors, illuminating rather than enflaming debates on immigration. In the midst of a tumultuous political environment, North Carolina continues to feature significant in-migration of Mexicans and Latin Americans from both outside and inside the United States. Drawing on the voices of migrants as well as North Carolinians from communities affected by migration, Hannah Gill explains how larger social forces are causing demographic shifts, how the state is facing the challenges and opportunities presented by these changes, and how migrants experience the economic and social realities of their lives. 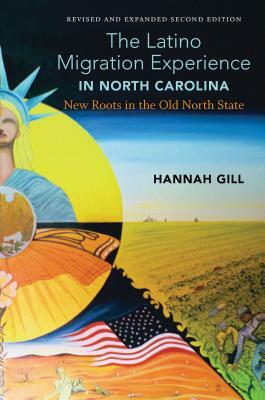 Gill makes connections between our hometowns and the globalization of people, money, technology, and culture by shedding light on the many diverse North Carolina residents who are such a vital part of the state's population but are often unrecognized in many ways. This book is essential for everyone, including students and teachers, who wants to understand what is at stake for all parties and wants to work toward solutions.